Thickened formula with 9.25% hydrochloric acid clings to vertical surfaces. Quickly removes build-up of rust, lime and uric acid. Disinfects bacteria and viruses after one minute of contact. Easy to use, just apply and scrub. 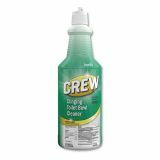 Diversey Crew Clinging Toilet Bowl Cleaner, Fresh Scent, 32 oz Squeeze Bottle, 6/Carton - Thickened formula with 9.25% hydrochloric acid clings to vertical surfaces for a more thorough clean. 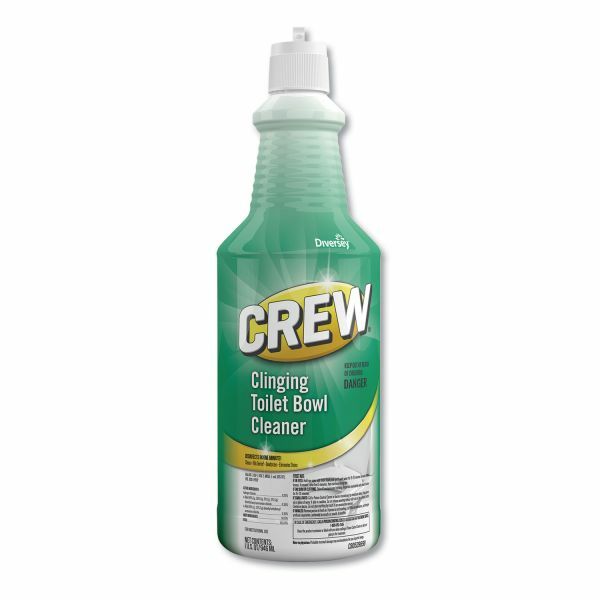 Quickly removes build-up of rust, lime and uric acid in toilet bowls. Disinfects bacteria and viruses after one minute of contact. Easy to use, just apply and scrub.